This week is a big week in our house. We officially kick off the first ever Voorhees Thanksmiskuh! Tonight marks the first night of Hanukkah (is that how you spell it? ), Hanuka (how about spelling it this way), Channukah (some spell it this way), Chanukah (this is what we’ll go with). Our house is a mixed one with my husband being raised Christian and me being raised Jewish. As a family, we embrace and celebrate both holidays. – The lighting of the menorah. She’s too young to understand the meaning behind it. She’ll just point to it and say “hot, hot!” – good warning to all to help prevent fires this season. – Cooking up a storm. With this season also being emotional one for our family, as my Dad recently passed away, I hope to infuse his passion of cooking and create some delicious Chanukah treats, including one of my faves – the latke, also known as the potato pancake. In my last month of pregnancy, I may whip up some tasty doughnuts and even some sugar cookies, using these super cute cookie cutters (Dreidel and Star of David). – I didn’t make it out of clay, but I look forward to sharing my mad spinning skills on the Dreidel with her. We’ll play for some gelt (chocolate coins) and bragging rights. It’s a super easy game to play with your kids. Here are some simple instructions to help guide the way. It’s hard to believe, but this week is also Thanksgiving. It will be somewhat of a laid back holiday for us this year, as our family is all visiting with other family. I look forward to spending some quality time with my daughter and husband on Thursday to celebrate what I’m thankful for, which includes some great neighbors that are taking us in! I do look forward to contributing some deviled eggs, sausage balls and corn casserole to share with some friends this week. My husband and I are truly blessed to be able to share these traditions with our kids. We look forward to many years ahead of pitter-pattering down the stairs to see the presents under the tree, excitement about the Macy’s Thanksgiving Day parade and enjoying a good gelt-sugar coma. Smarties, as the holidays are upon us, what are some traditions that you look forward to sharing with your family during Thanksmiskuh? Register for TWO Giveaways this week! When you become a mom, you quickly realize that after your first holiday season, it’s never going to be about you ever again. And that’s ok, because we adore our kids and the true meaning of the holidays. But what Smarty girl doesn’t like gifts wrapped up in a pink & green bow just for her?! That’s where CSP comes in. 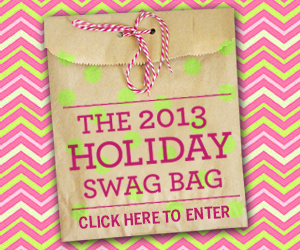 Smarties, we have scoured our amazing city and we bring you the BIGGEST and MOST FABULOUS Smarty Swag Bag to date! Feast your eyes, Smarty Charlotte and enjoy the pampering! We present over $2,700 worth of fabulous Smarty Swag…Click here to join the holiday party, we’ll pick our winners on December 9th, all 22 of them!! 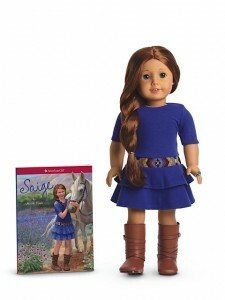 Win an American Girl Doll! Smarties, in honor of our Smarty Holiday Gift Guide Week, we bring you the coolest girly giveaway of the holiday season! One lucky Smarty will win an American Girl Bitty Baby™ and one will win an American Girl Doll of the Year, Saige™! How cool is that?! Click here to register! Smarty Holiday Must-See Show: Children’s Theatre of Charlotte’s Miracle on 34th Street!